Arrrg! 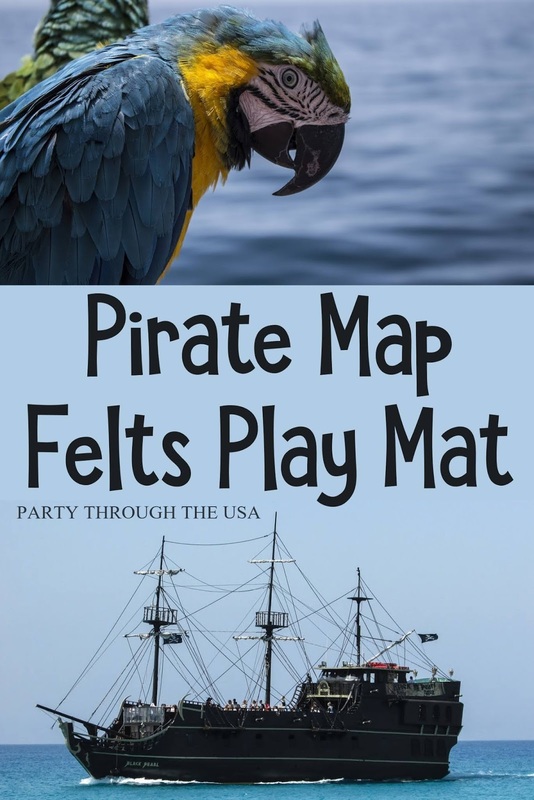 It's a pirate's life for me! 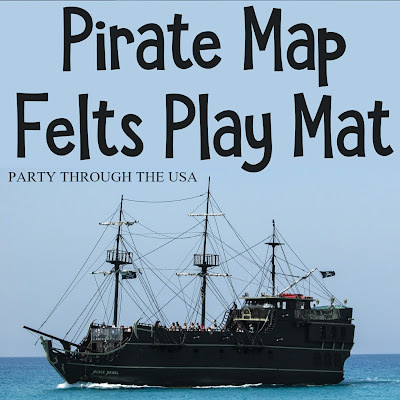 For today's Travel Time Tuesday, I'm showing off my felt pirate map for small world play. The map water sections were cut freehand, as were the other blobs of landscaping. 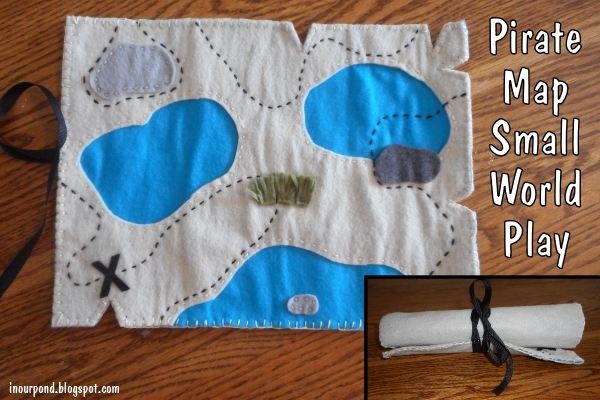 A felt letter sticker marks the spot of the treasure. I had a lot of fun randomly marking out the path to the treasure and cutting out the "tear" marks on the edging. The entire map is backed with a plain piece of tan felt, which is blanket-stitched to the map. On one edge, I added a long piece of black ribbon for tying the map closed. I plan on pairing the map with a "toob" of Safari Ltd pirates (found for 50% off at Jo-Ann Fabric). We love Safari Toobs, so I know the kids will be excited about the new addition to their collection.